Lovemyshelf has a distinct graphic design that creates an interesting effect when moving around it. 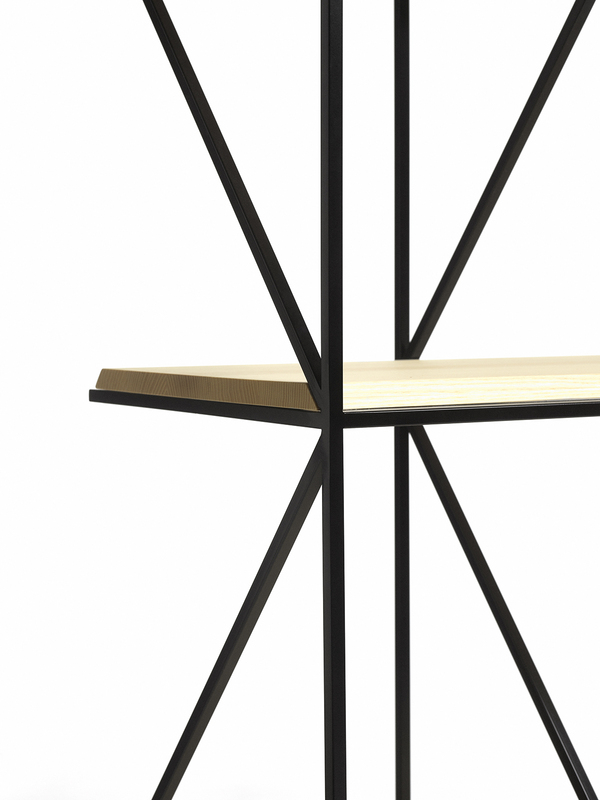 Thanks to its versatile nature, the shelf is suitable as both a standalone unit or displayed in a group of shelves. 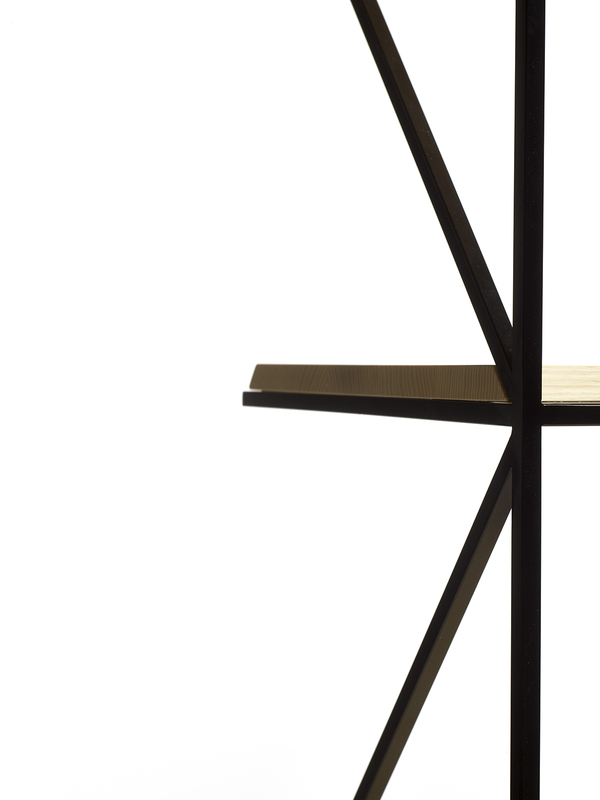 It can also stand freely as a divider or against a wall. 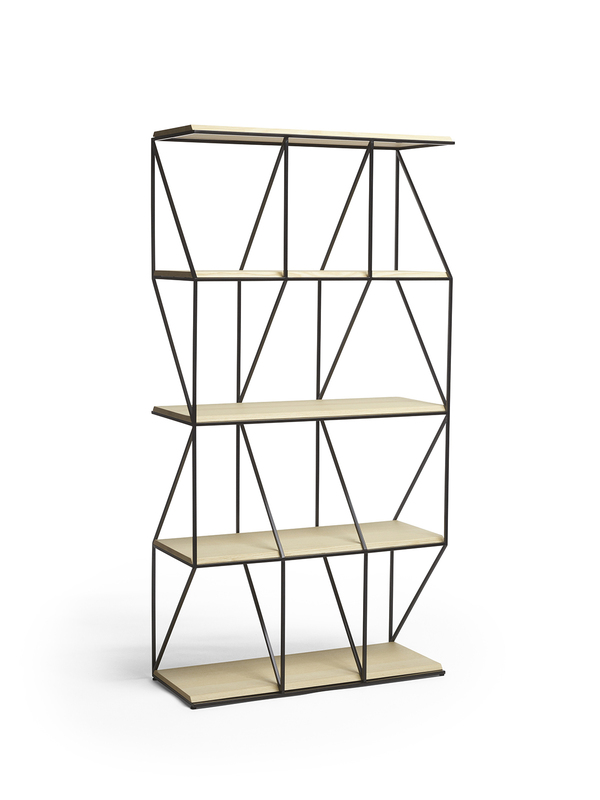 The thin metal frames are available in any colour and give the shelf its characteristic appearance. 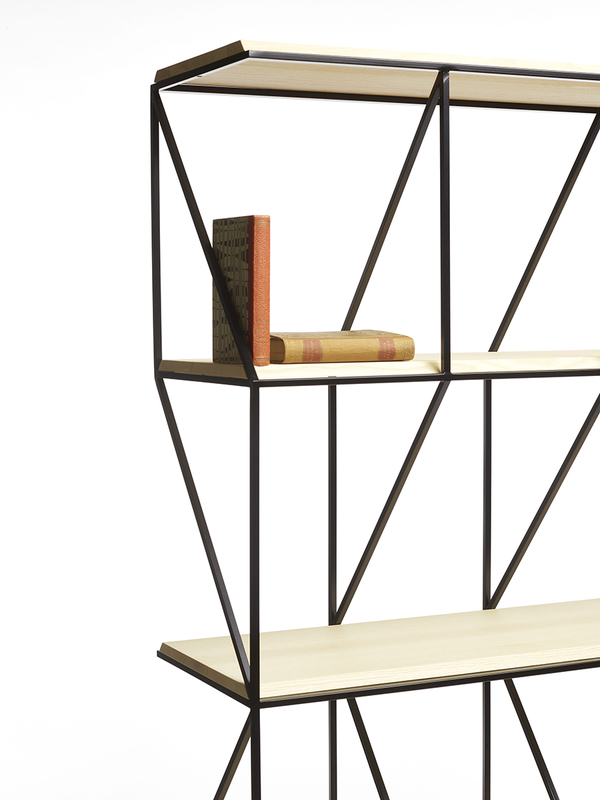 The shelves are made of solid wood with slanted edges, which reinforce the connection with the metal frame and the design. 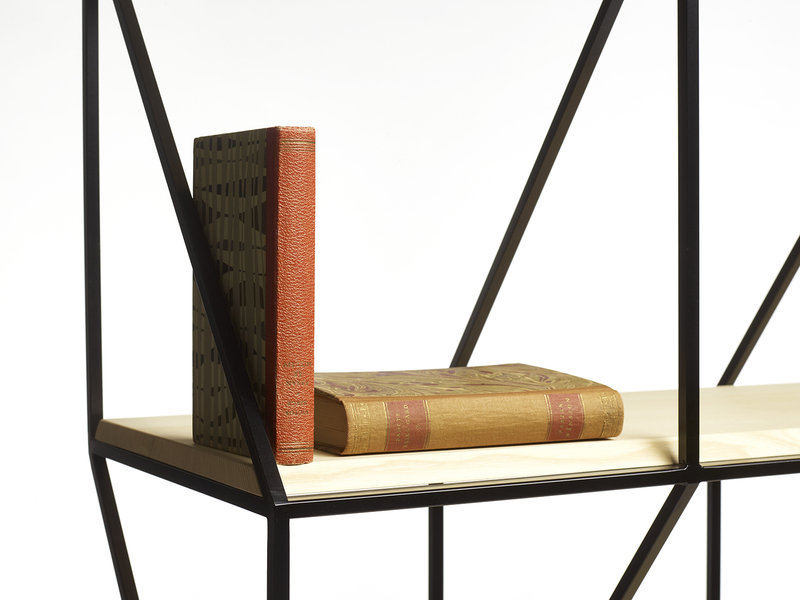 The metal frame also provides natural support for books or other items you may wish to place on the shelf. 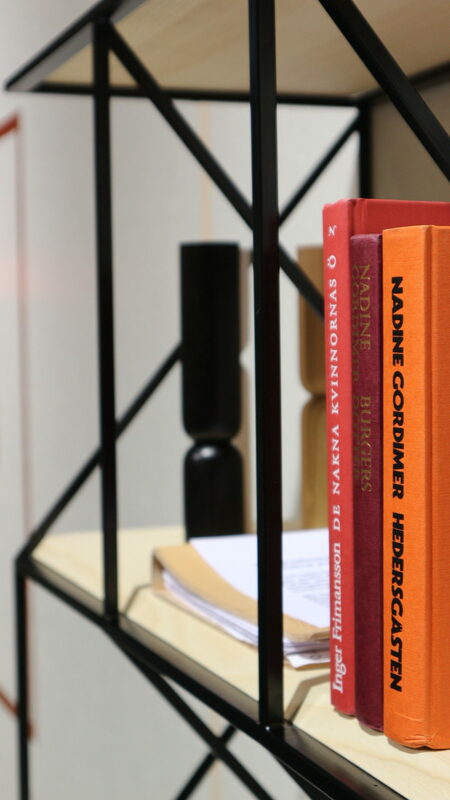 Lovemyshelf is manufactured in Sweden by David Design.